Neither Mei or Hannelore have their full bios up yet, and the plan after getting Hannelore and Ivy unexpectedly (I haven't told you about that yet, have I?) was that there would be no more doll purchases until Nanea is released in August...but when a #61 popped up on the local BST sight for a steal I couldn't pass her up. 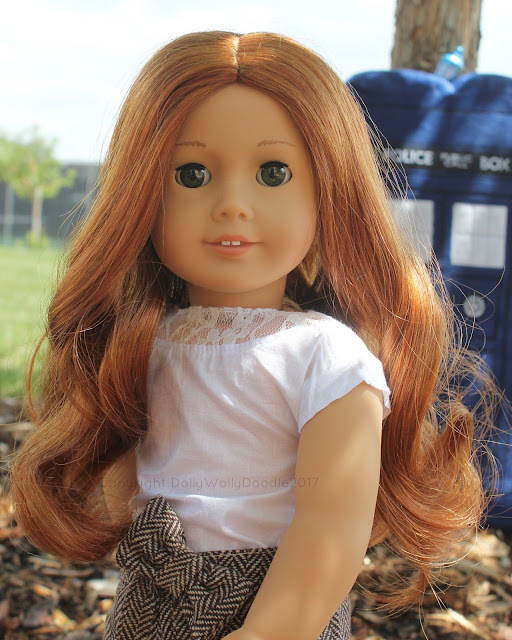 #61 has always been by Amelia Pond, a character whose story is going to be very much inspired by Doctor Who and set in that universe, though my Amelia's story is going to be somewhat different than the cannon Amy Pond. So, here is Amelia's short bio, though a longer one will follow as soon as I get both Mei and Hannelore's longer bios up. Family: Amelia lost both of her parents tragically, though she is unable to remember exactly how and is unwilling to ask for details yet. She currently lives with her guardian, a man who often goes by the name of John Smith when they are traveling, though he is better known by another name all over this world and others. Location: Anywhere and everywhere she wants to go. There is rarely a place, or a time, that her guardian will refuse to take her, though she does feel that he tends to "mother" her a bit. There are times that he has to go away and do something "dangerous" where he will leave her with different friends for awhile. 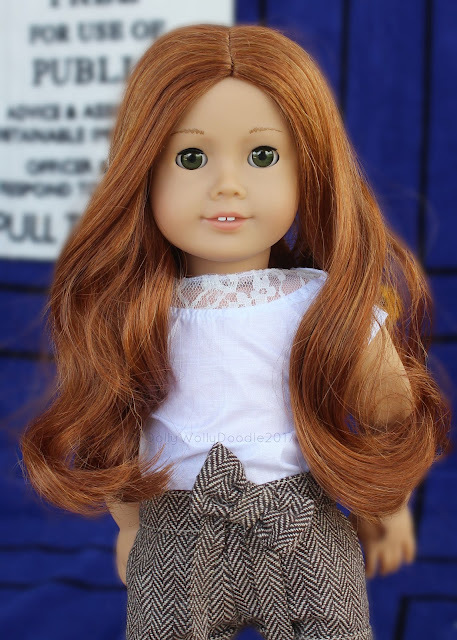 Amelia was born in Inverness, Scotland. Pets: A wonderful and loyal pup named Rory who never leaves her side. Hogwarts House: No one really knows until 11, do they? Besides, she has other things to think about for now. Random Fact: Amelia enjoys drawing comic books. Many of these tell of her various adventures with her guardian and the friends they meet along the way. She has shelves and shelves full of these in her room. 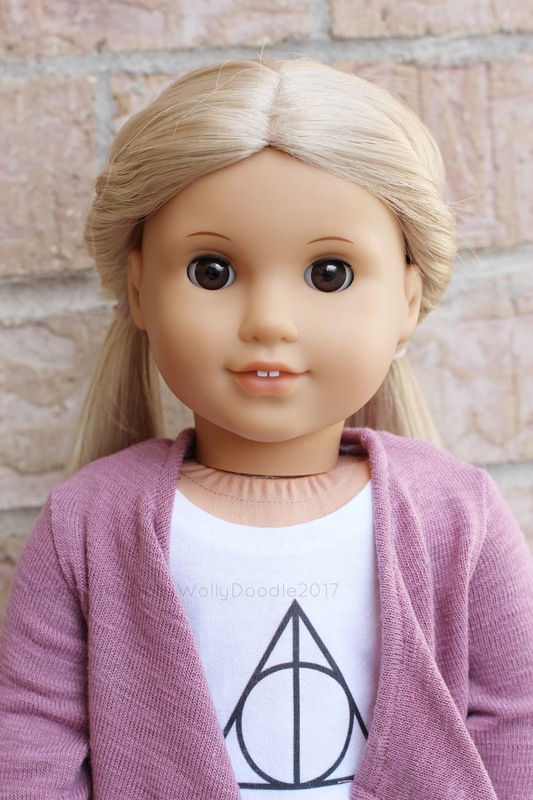 I'm very excited to add Amelia to the family and write about her adventures. No more dolls until Nanea now though! I'm serious! I have a soft spot in my heart for the historical pets. I have ever since I was a little girl, and one of my "rules" in collecting is that all my girls will (eventually) have their pets. This rule is holding true with my moddies as I branch off this from my historicals this year too. I just like adorable plush animals. 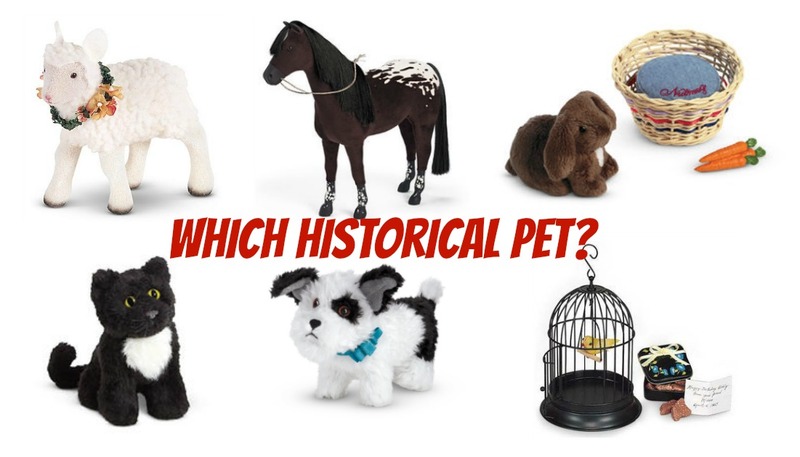 This week's poll asks you which historical pet is your favorite, and there are many to choose from. Vote for your favorite on the poll on the right side of the blog, and I'll announce the fan favorite after it closes. Poll Results: Who Wore It Better, Kit's Play Dress? After posting the #whoworeitbetteramericangirl contest on my Instagram I decided to share the images here on the blog too. It seemed like as good a reason as any to do another poll. No surprise, as in the Instagram contest, Melody came out on top with 75% of the votes! That girl can rock anything. Addy, Gabby, Kaya, Kit, Mei, and even our Bitty Twin also received votes, but the beautiful Dee Dee reigns supreme! Now that I have the Cat's Meow outfit from Our Generation I think I'll be doing another Who Wore It Better contest soon. Until then, keep your eyes open for another poll that I'll post in the next day or two. Location: The Lennox family just recently moved to Colorado. They have also lived in Ohio, Florida, and Idaho due to Hannelore's father being in the military. Pets: A huge himilayan cat and 2 rabbits. Favorite Books: The Secret Garden and Little Women. Favorite Colors: Pink, grey, and yellow. 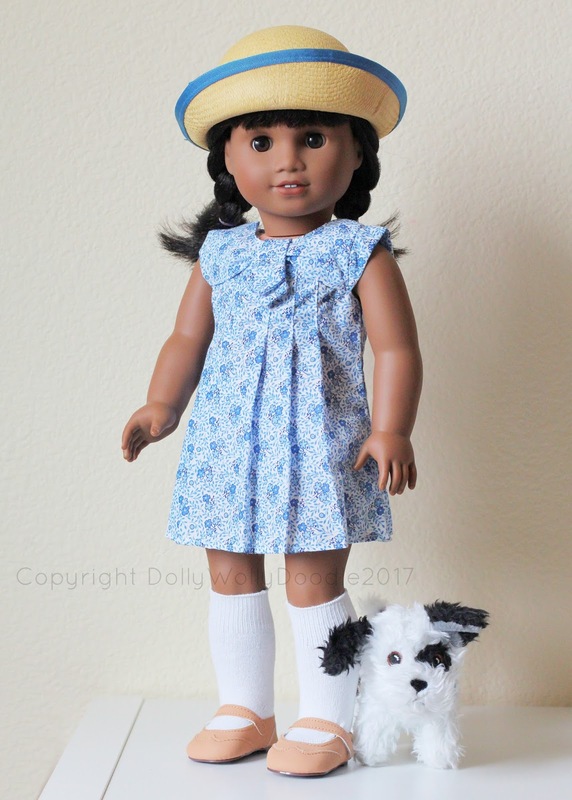 Favorite American Girl(s): Marisol, who her mother bought for her the year she was born, and Kit, who is from Ohio where Hannelore was born. Random Fact: When she was little, Hannelore was convinced that her mother, whose name is Mary, was the Mary Lennox from The Secret Garden. This was supported by the fact that both of her maternal grandparents passed away before she was born and her mother had no brothers or sisters. I have more to post about her, but her detailed bio won't go up until I've posted Mei's. The two of them know one another though, as Hannelore's family moved in next to Mei's grandparents. The girls met the first day of Spring Break and quickly sparked up a friendship. Their story is going to be fun. 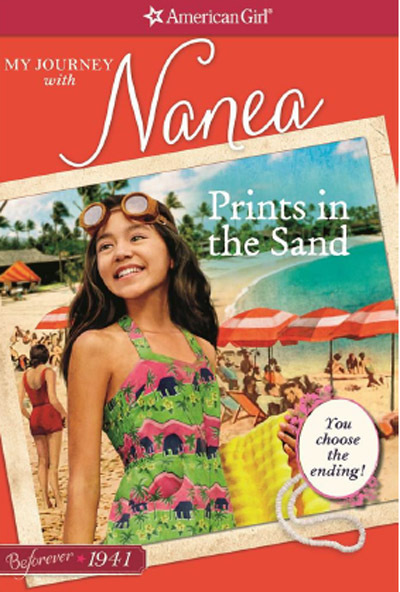 It looks like there is finally some information out there about Nanea's books, though I can't say that I'm thrilled. 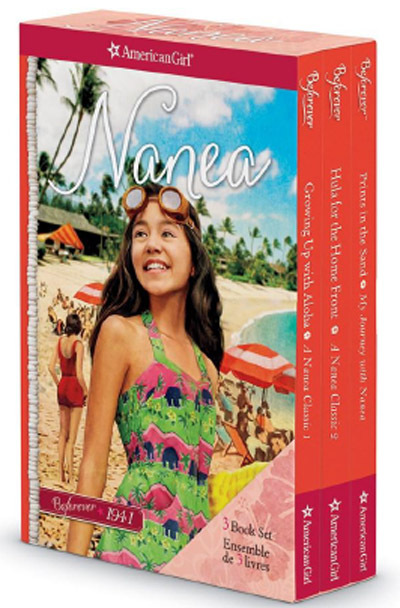 Amazon has posted the titles, pre-order information, and synopsis of all three of Nanea's books, but those of us hoping for an early release of the first novel like we got with Melody are going to be disappointed. Unless the dates change for some reason, it looks like we'll have to wait to read Nanea's story, as the release date for all three books isn't until August 24th. I really enjoyed having Melody's first book early last year, because I felt like it gave my family a chance to really know her character before going to her release, which made it even more exciting to be picking up our doll, but it doesn't look like we'll have that chance with Nanea. Still, it's pretty exciting to have some more information about the new BeForever character! From Amazon: Nine-year-old Nanea may be the youngest in her family, but she still wants to "dip her paddle in" and be useful. She knows she's grown-up enough to help in her grandparents' market. But before she can prove that she's ready for more responsibility, the unthinkable happens: Japan attacks Pearl Harbor, the naval base where her father works, and America is at war! With friends and family missing, and rumors of more attacks to come, Nanea worries―will life ever be the same again? From Amazon: Nanea had hoped that going back to school would make life seem normal again. But everything has changed since the war, including Miss Smith's wonderful classroom. Nanea's dear friend Donna is gone, and now there's a new girl who seems to be getting all of Miss Smith's attention. There are also worries at home as Nanea's big brother talks about joining the Army. Nanea can't bear the thought of him leaving. 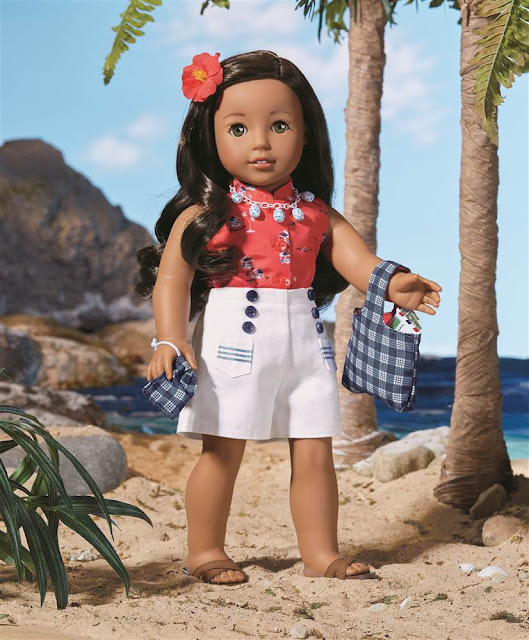 In the swirl of changes, Nanea turns to hula. Dancing always makes her feel better. 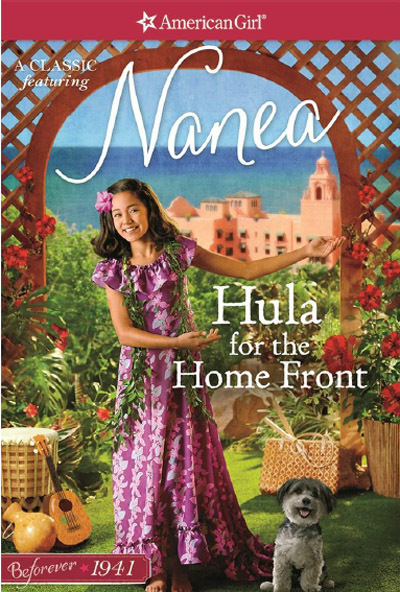 Then, Nanea gets a big idea―could hula help lift the spirits of the soldiers, too? From Amazon: The puka shells jingle in my hand. I don't want to lose them, so I slide the necklace over my head. But as I pull my hair out from under the string of shells, the ground drops from beneath my feet. I feel the whoosh of an ocean breeze, and then a pink mist covers my eyes . . . What if you suddenly found yourself in Nanea's hometown of Honolulu during World War Two? Together, you and Nanea could send secret messages for the war effort or work in a Victory Garden. You could learn how to hula dance or help a lost dog. As you read, you decide what happens by choosing your own path through this multiple-ending story. 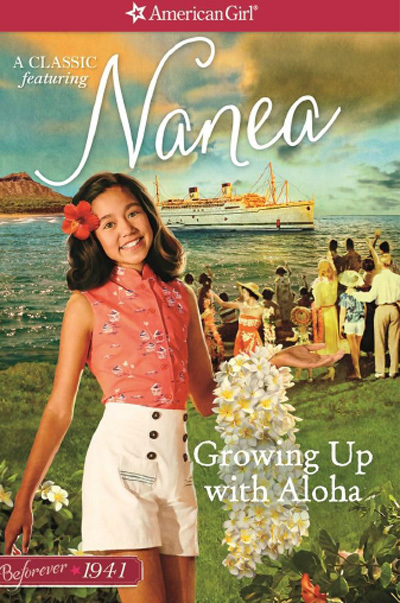 Who is getting excited for Nanea? August seems like forever away, however, we have Z's release right around the corner! I'm looking forward to her too. It occurred to me that I never posted the poll results for our last poll which asked you to choose your character from the new releases coming out this year. Logan and Tenney had absolutely no votes, which didn't really surprise me, but I was shocked to see that Z Yang also had no votes. I am personally looking forward to learning more about her and her character. Felicity came in third with 7% of the votes going to her. 71% of the vote went to this year's BeForever character Nanea Mitchell. This time last year we didn't yet have Melody's release date, but we had her first book. This time around we have Nanea's release date but absolutely no clue when we can expect to read her story. I am not the most patient person in the world, and I'm chomping at the bit to learn some more about this 1940s girl! Less than a month until Z Yang's release! Who else will be going to a release event? Dolly Wolly Doodle is a blog about (mostly) American Girls. Their history, their collections, custom dolls, home schooling with American Girl, reviews, opinions...You name it, we plan on having it! Pull up a chair, settle in, and enjoy. Let me know if there is something you want to see! 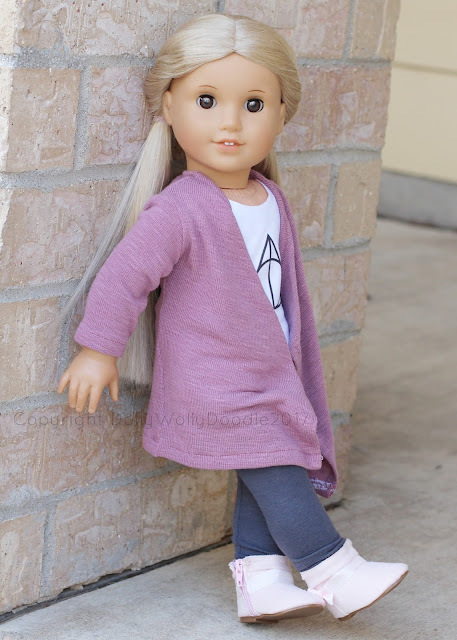 I am in no way affiliated with or paid by American Girl. I am not paid for any of the reviews you see here on this blog. If I am given an item for free to review it will be stated in the blog post. Otherwise I have paid for all of the items you see here. Copyright Dolly Wolly Doodle 2016-2018 (All Rights Reserved). Simple theme. Powered by Blogger.